»Membranes« will be performed live performance at the festival's closing night. 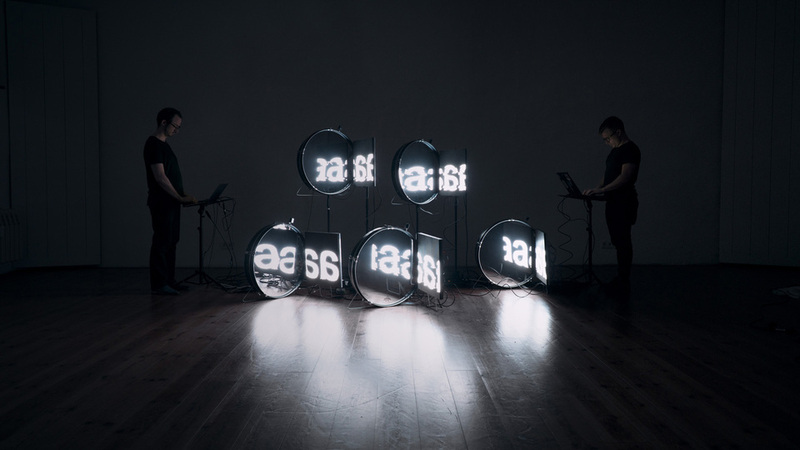 Exploring the boundaries where music and language overlap, Nicola L. Hein and Lukas Truniger use hybrid instruments – constructed from drum-skins and electronic components – as devices to turn written texts into pulses of light and percussive sound. As each machine translation emerges, the network of instruments starts to share the texts, transforming written material into aesthetic, visual and sonic patterns, for the performers to further interact with. Extrapolating from the example of the African talking drum, Membranes builds up an altogether new kind of tone language, constantly shifting and adapting itself before the viewer and performers alike. 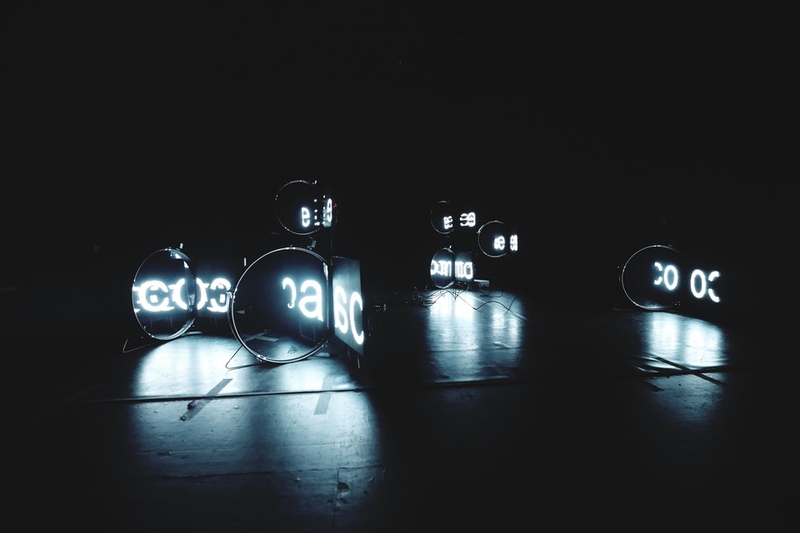 Lukas Truniger is an artist and musician, who engages in the areas of multimedia installations, sculptural objects, performances and the creation of new musical instruments. He is fascinated by complex systems and hidden processes in nature as well as in society. For the exploration of their inherent aesthetics industrial materials, hacked devices and misused tools have become crucial to his creation. His work establishes singular experiences challenging the modalities of perception. Born in Zürich (Switzerland), he obtained a music degree from the Robert Schumann School of Music and Media in Düsseldorf (D) and a post gradual diploma in fine arts from Le Fresnoy - studio national des arts contemporains in Tourcoing (F). His installations and performances have been shown in the framework of international exhibitions and festivals. He is represented by Bipolar, a production and distribution agency for digital art located in Montpellier (F). Nicola L. Hein - guitarist, soundartist, philosopher and composer - is a very active player on the german/international scene of improvised music. Studied Philosophy / German Philology (B.A. ), Jazzperformance (B.A.) and Soundart-composition (M.A.) at the University of Mainz. Moreover soundart (soundinstallations, site specific instruments, conceptual compositions for improvising musicians etc.) and the collaboration in different interdisciplinary settings (dance, installation, video art etc.) are an important focus of his art and form a second emphasis besides the work as a guitarist.